After a rush of European cars in Pakistan, Volkswagen has decided to enter the local motor Vehicle market as well. Recently Audi has made great strides in Pakistan but the sales have been rather limited due to importing the vehicles and added taxes applied to them. It has been noticed by the market trends that people are willing to pay for a better car than to settle for something sub-par that requires constant repairs and is generally not considered to be safe. European cars have an immense pedigree when it comes to checking all the boxes, whether it be luxury, safer, premium material, quality controls or what have you. Mercedes, BMW, Audi, VW and Porsche can be seen on the roads of big cities in Pakistan, and they are a cause for envy and desire but they refrain from the purchase. Volkswagen I’m the other hand has the right idea, they have decided to license Pakistan for a number of their models to be locally assembled. This will reduce the retail price on the cars and in doing so, will grab a big chunk of the market. For years, Toyota and Honda have ruled the mid sized sedan market in Pakistan, but even affording a Camry or a Accord is near impossible due to import taxes. But over the years, neither Honda nor Toyota have remedied that issue and after years as the European car companies have grabbed the attention of the people, Toyota and Honda have only introduced basic family vehicles and still no small hatchbacks or luxury sedans. Meanwhile KIA has taken it upon themselves to take advantage of It’s competition’s idleness and will launch a range of models in Pakistan, assembled and distributed locally. 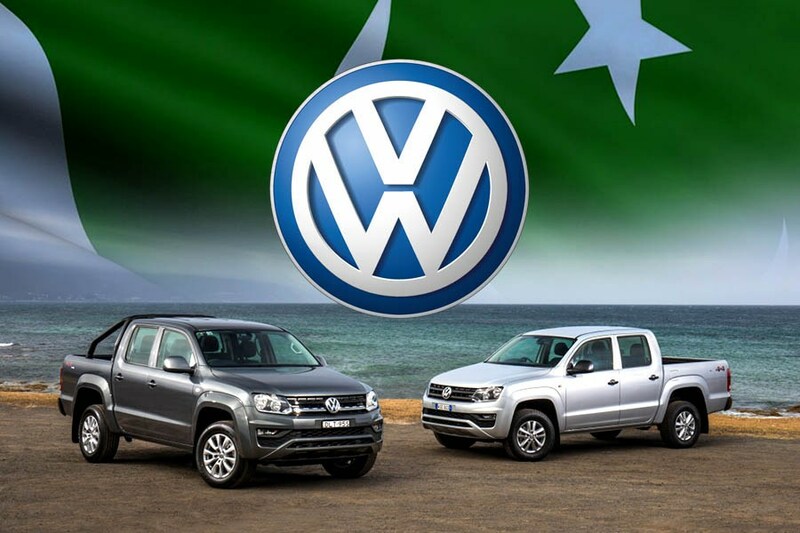 VW has announced 4 official models to be assembled in Karachi through Pakistan Premier Motors; Transporter T-6, Caddy, Amarok and Caddy. The hope is to bring more models into the market but the success at this stage is key to that. And if that works out, then hopefully more companies are to follow.